First-hand accounts of the siege of Leningrad (now St. Petersburg), during World War II, which lasted 872 days (8 Sep. 1941 – 27 Jan. 1944). 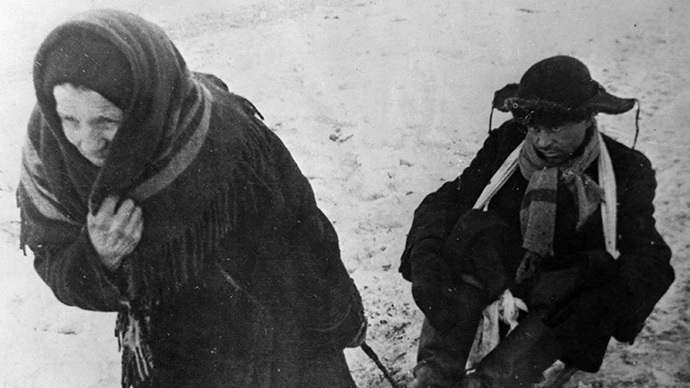 More than 1.5 million civilians died as a result of incredibly heavy bombing, starvation or extreme cold. The death toll peaked at 150,000 a day, individual daily food consumption was limited to around 125 grams of bread. Unimaginable deprivation and suffering retold by those who lived through it, including the contemporary diary of a young woman whose moving journal tells a personal story of loss, resilience and survival. Watch "Leningrad siege reflections" on RTD website on RT’s live feed. The time of the broadcast is available on RT’s schedule page.